From the people who bring awesome events to town like London Comic Con, Shock Stock and Rock’ n’ Con comes the Heatwave Hot Sauce Expo! Heatwave makes it debut Saturday, March 2 at Centennial Hall, London Ontario! Enjoy sampling hot sauces and spicy foods from over 40 international acclaimed and independent producers of fine food. Some of the vendors include Slim's Pepper Co, Pepper North, Hurt Berry Farms, and Dawson’s Hot Sauce! Tickets to the Expo start at just $7.00! And if you love to eat the heat and feel no pain then register for the Heatwave Hot Wing Eating Contest. Preliminary competitions taking place at London Brewing Co-Op on January 26th or February 9th. I'm so excited for this!! A must for any chilihead in or near South Western Ontario! Check out YouTube.com/HotReviews for CRAZY Chili Pepper Challenges and Hot Sauce Reviews! Pretty sure I am going to this. I like the full taste sample aspect, vendors have to sample all sauces they are selling, although realistically why would they not. The wing sampling idea is new to me. For an additional cost to admission, you get plain wings that you can take to vendors and sample their sauces on. HSDAY promo code gets you 2$ off tix as well. I see Pepper North is a vendor Sponsor too. The canucks know heat! Canada placed WELL in THPA. I bet a lot of them will be there. If not let them know! And of course check out Slim's! Pepper North and Slim's are going to be there! So will Dawson's, Haico, Cooksvile, T & A, Sinia, Maritime Madness and many more! They have plain wings for you to taste sauce with? I wonder if Canada will let me in. From what I can see, we let just about anyone in. If you haven't defaced a maple tree or molested a beaver you are probably ok. Yes we will be there on Saturday! Make sure you stop by our booth and say hi! 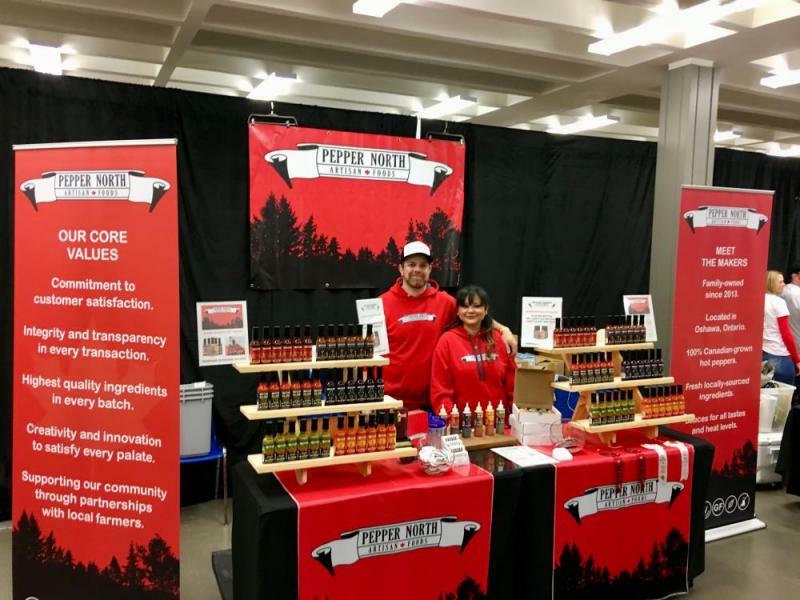 Pepper North Artisan Foods - www.peppernorth.com - "Keeping you warm in the great white north." 30 x Hot Pepper Award Winner including Spicetime Achievement, Best Overall Hot Sauce & Best Product Line! Not a problem any more as Marijuana is now 100% legal right across Canada. I am hoping all the vendors had a great day. Judging by how packed the place was I think they will need a bigger venue next year. It was good to swing by pepper North and meet the faces behind the killer sauces in my fridge. My mini haul from the show. So many great products but I was focusing on what I had never seen before or that really wowed me. Edited by Ashen, 02 March 2019 - 11:35 PM. My doppelganger didnt like you taking his picture lol. Thanks for stopping by, it was great to meet you. Yes, we will definitely need a bigger space next year. We were all blown away by the support we received. Things can only go up from here! Cheers! Heres another shot of our booth. What was your hit sauce at the show PN, Slim? Our Blueberry Plague always seems to get the most attention at events, also our Solar Flare did really well. The friend we brought with us really liked the solar flare. He had tried blueberry plague at my house and liked the flavour but it is way outside his heat tolerance. A few ppl got stung by plague at my wife's birthday party actually . I put out an assortment of sauces on the build your own taco bar, but got sidetracked before warning ppl to be careful with muerte and plague. Heatwave was so much fun! 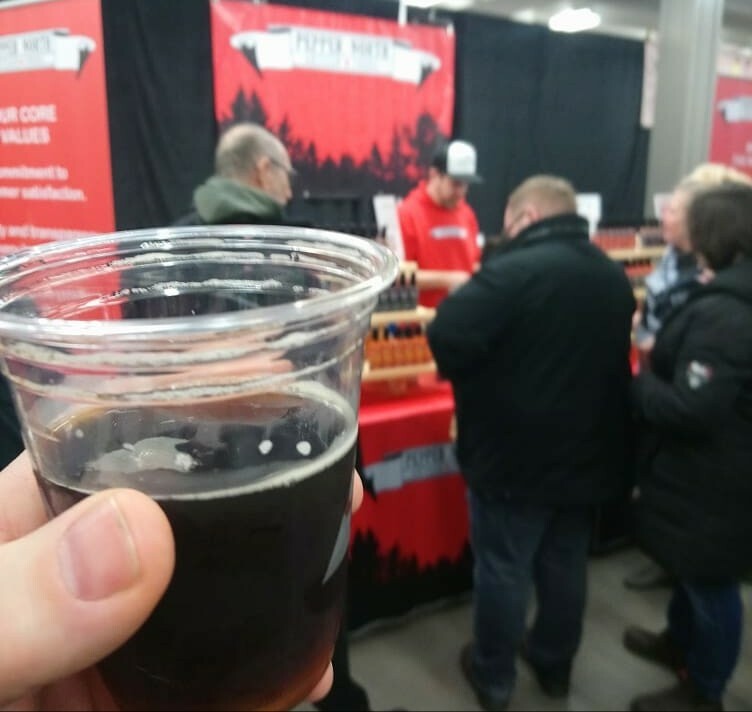 I got to meet so many great Canadian sauce makers, tried some great hot sauce, the competitions were very intense to watch and I set a Guinness World Record for Most Ghost Peppers in One Minute! I really had the time of my life. The place was packed and everyone was happy - vendors and patrons. I'm already excited for next year. It's just going to get bigger and better. 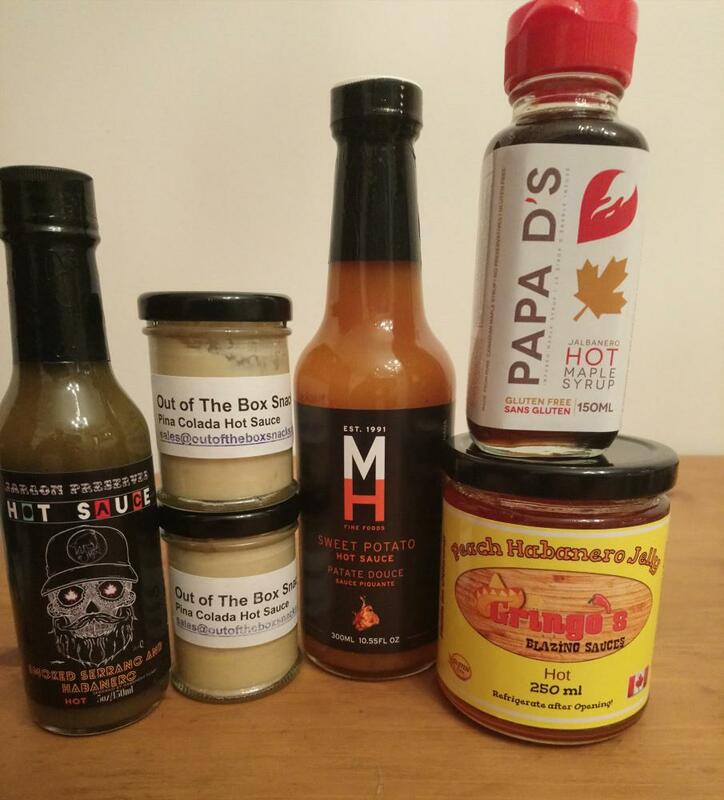 This really was a huge event for the Canadian hot sauce community! It really made the community stronger. We've never had anything like this before, and Heatwave's success proves that it's something that people really want. 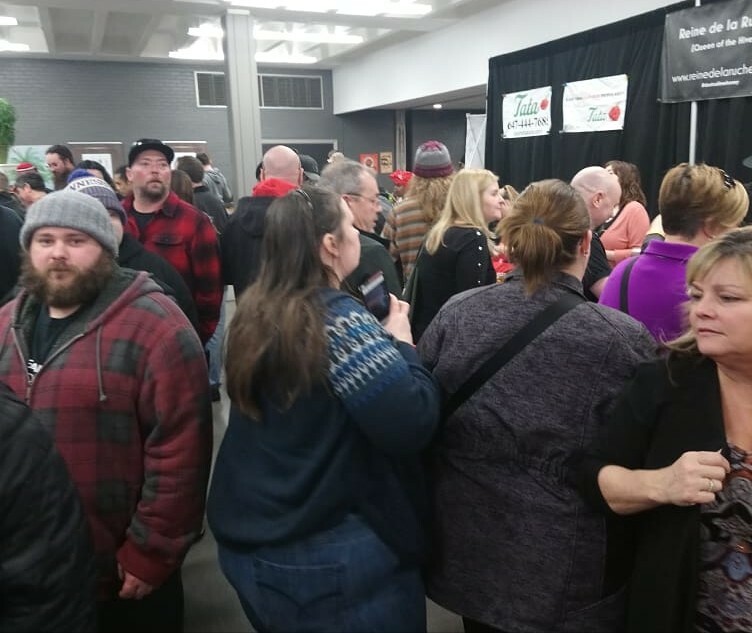 I talked to people who traveled from Calgary and Montreal just to experience the expo. I'm truly blown away. Every goal the organizers had was exceeded, the vendors seemed to sell more than expected, and fun times were had by all!